The terms ‘direct investing’ and ‘co-investing’ are often used in the same conversation, sometimes interchangeably, and often imprecisely. Whether moving a dollar or a million, it’s worth knowing exactly what each arrangement means. While the simplest concept, direct investing requires the most involved execution. Direct investing is aptly termed because it is the most direct path to the private equity asset an investor may take. Direct investing - the purchasing of ownership in an operating company by an investor. 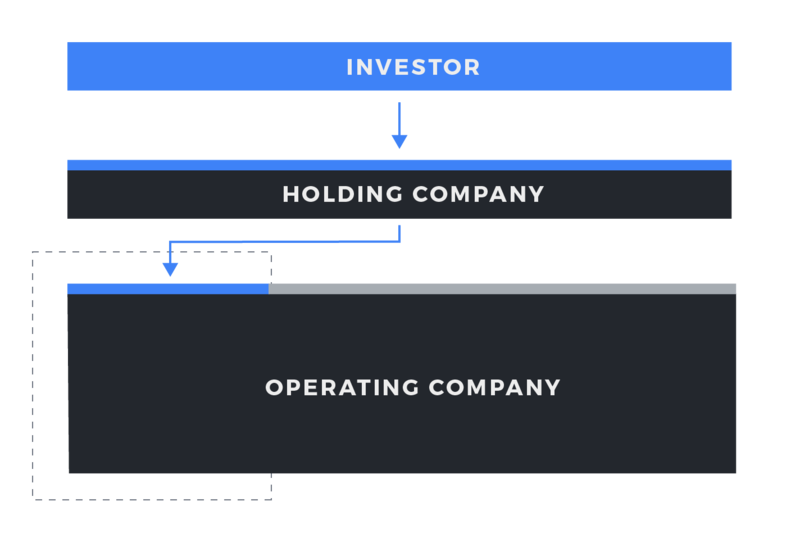 Deal structures vary like snowflakes, but as a general practice, investor dollars flow into a holding entity, often an LLC (although C-corporations have become somewhat more popular following recent tax law changes), which purchases the shares in the operating company. The amount of ownership in the operating company varies per deal. A direct investment may be a buyout with controlling interest transferring to the investor or it may be a minority growth investment. Because direct investing is the un-intermediated path to owning private equity, it contrasts with fund investing, where an investor invests into a fund which then invests on behalf of many investors into a portfolio of operating companies. In a direct investment, the investment is made into a single, specific asset. Investing as an LP into a fund is diversified by exposure to all assets in the fund’s portfolio. Therefore, perhaps obviously, one cannot make ‘a direct investment into a fund’. An investor may either invest through a fund structure or make a direct investment. 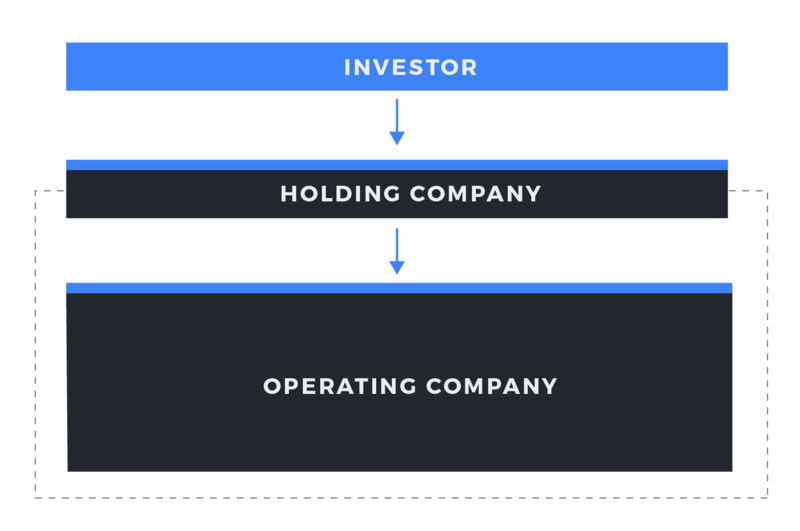 Just as in a direct investment, for each portfolio investment, the fund will invest into a holding company, which in turn, will be the parent of the operating portfolio company. Co-investing is investing by following the lead of another investor or group on a transaction. It is a way to execute a direct investment. Co-investing - a subset of direct investing, when an investor invests alongside a lead Sponsor to purchase ownership directly in an operating company. On every deal, a leading party sources, structures, and executes the transaction. When this leading group opens a deal to co-investment, they are said to be ‘sponsoring the deal’ and become the Sponsor or Lead Sponsor on the transaction. 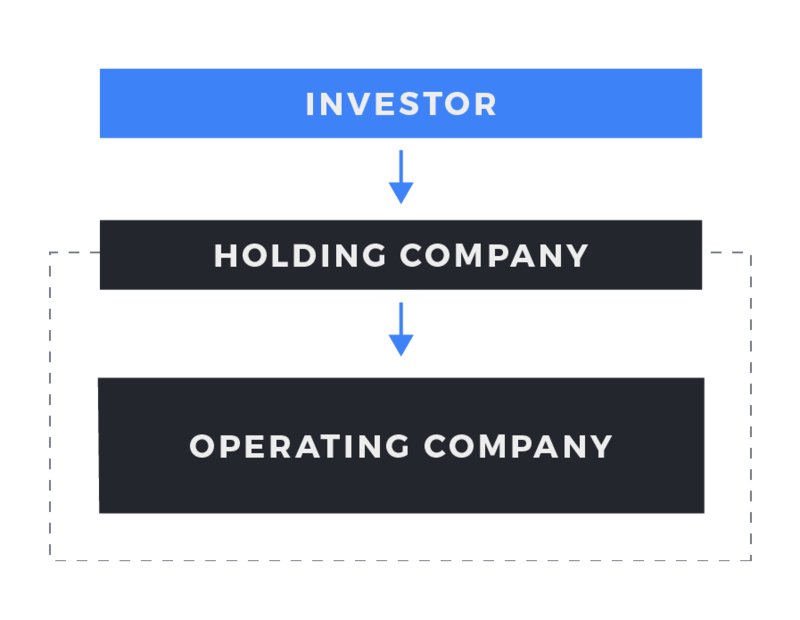 Just as companies can be purchased directly or by a fund, co-investing happens in one of two essential forms: “direct co-investing” or “LP co-investing”. 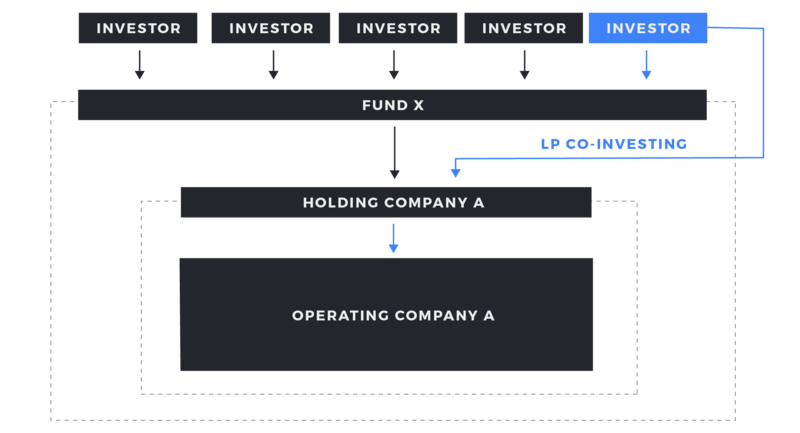 LP co-investing is how co-investing is defined by most books and it is based on the presumption that the investor already exists inside the context of a GP-LP relationship with a blind pool fund. 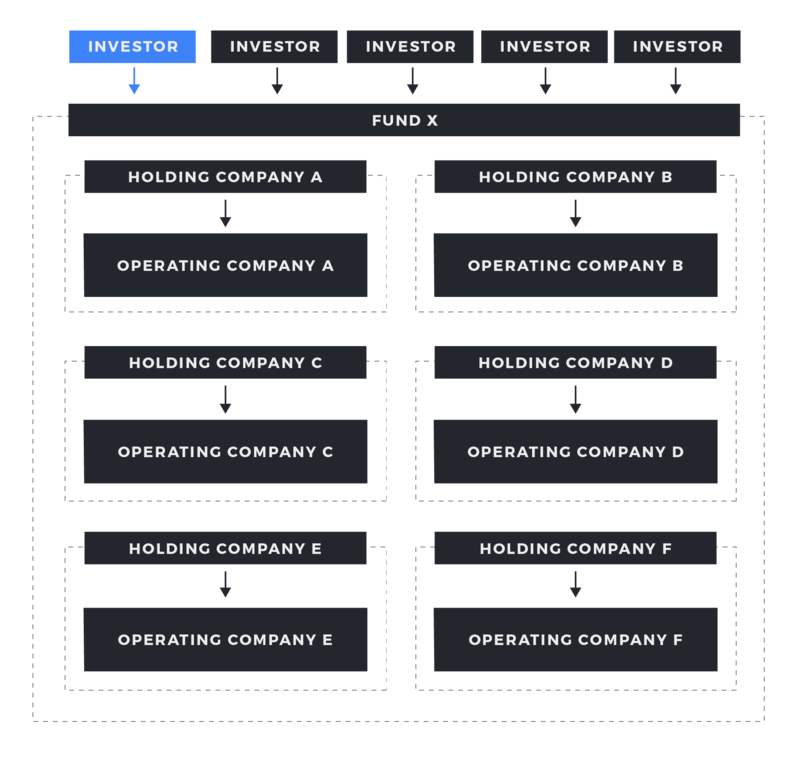 Since funds were the original means for investors to access private equity, LP co-investing was the original path for investors to access co-investment opportunities. LP Co-investing - when a fund’s LP makes a passive minority investment alongside the fund, directly into a portfolio transaction, purchasing shares in an operating company that will be managed by the fund. Co-investment rights are often awarded to the LPs with the largest commitments as a way to build the relationship. LPs value these co-investments, which typically offer reduced or eliminated fees, as a way to blend down their average rate of fees to the fund. In LP co-investing, the Sponsor on the deal is always the fund manager. The fund invests from its pool of committed capital, and select LPs are co-investing alongside the fund’s allocation. As a simple example, the fund may agree to purchase an operating company for $100M, which it plans to fund with $40M debt and $60M equity. The fund may invest $40M itself while the remaining $20M in equity may be offered to LPs with co-investment rights. The key distinction between LP co-investing and direct co-investing is the investor’s relationship with the Sponsor. As we discussed in LP co-investing, the co-investor is an existing LP of the Sponsor’s blind pool fund and the deal is adding to the fund’s portfolio. However, in direct co-investing, the co-investor is moving independently of any GP-LP relationship with a fund. In fact, the co-investor need not have any preexisting relationship with the Sponsor leading a deal. In direct co-investing, the syndicate of investors is assembled and varies on a deal-by-deal basis. Direct Co-investing - when an investor invests alongside a Sponsor in a direct investment and the investment is not part of a greater GP-LP blind pool fund relationship with the Sponsor. In direct co-investing, the Sponsor may still be a fund, or it may be an independent sponsor, a family office, a strategic investor, or an individual with special expertise. The investor may take a passive or semi-passive role, or may be strategically involved. While in LP co-investing, the co-investor is always a minority investor, in direct co-investing, a co-investor may actually bring the majority of the capital in a transaction. Writing a check for a majority or greater of the equity capital in a deal is called ‘anchoring’ the investment. The anchor check may still be a passive co-investor and defer to the Sponsor to actively manage the asset. In the end, each arrangement is a seat with direct access. The difference is your relationship with the others at the table.